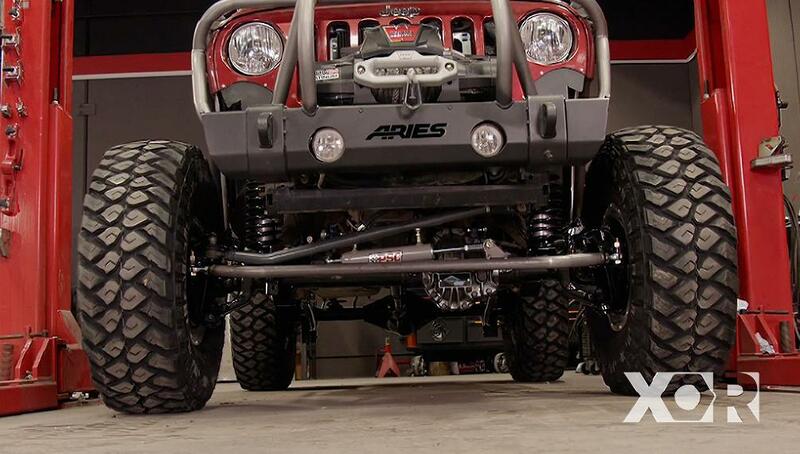 The team is adding a transfer case, hydraulic steering and getting the JK riding on 40s! Jeremy and Eliza transform the Tacoma and show how to get more axle for your money. 5.0L Coyote install and setting up the transmission for maximum off-road speed. 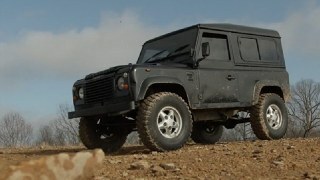 Eliza and Jeremy are invited to participate in some winter wheeling with Tread Lightly in our trusty Scout. Jeremy and Eliza add the Raptor-like skin to the Prerunner Ranger. 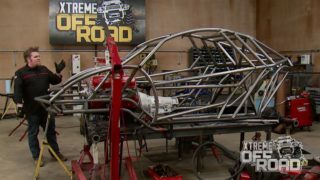 With the cage finished on the Prerunner Ranger, Eliza and Jeremy complete the interior, install dash, and build a spare tire mount. We’re boxing the frame on our 1963 Willys in preparation for a 1200+ horsepower powerplant from Engine Power. We’re picking up a Toyota Tacoma to start a new project and extending our Prerunner’s cage. We’re building custom headers and installing long travel shocks on our Prerunner Ranger. 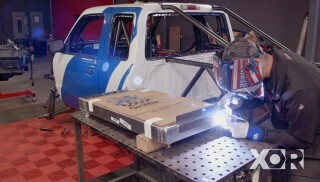 Eliza and Jeremy are adding a custom steering setup to their 2002 Ford Pre-Runner Ranger! 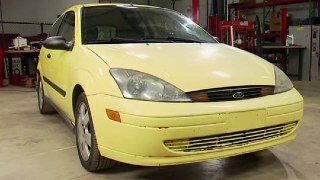 '02 Ford Focus "Hocus Focus"
(NARRATOR)>> TODAY WE'RE FINISHING UP "PROJECT CREEP IT REAL" AND GETTING IT READY FOR THE TRAILS. WE'RE ADDING TRANSFER CASE SHIFTERS, POWER ASSISTED STEERING, CUSTOM DRIVESHAFTS, AND MUD TERRAIN 40'S. IT'S ALL RIGHT HERE ON XOR. (ELIZA)>> HEY GUYS WELCOME TO XOR. WE ARE NOW IN THE HOME STRETCH OF FINISHING UP "PROJECT CREEP IT REAL". WHEN YOU LAST SAW US WE WERE INSTALLING THE TRANSFER CASE. WELL NOW IT'S TIME TO LINK UP THE SHIFTERS. WHEN OUR BUDDIES OVER AT ADVANCE ADAPTERS SENT US OUR TRANSFER CASE THEY ALSO INCLUDED THE JK SHIFTER KIT. NOW THE COOL THING ABOUT THIS IS THAT IT FITS RIGHT IN WHERE THE OEM ONE WOULD HAVE, AND RUNNING THE TWO SELECTORS IS A TELLTELL SIGN THAT WE'RE RUNNING AN ATLAS. ASSEMBLING THE CABLE SHIFTER STARTS WITH MOUNTING THE HANDLES ONTO THE PIVOT SHAFT, FOLLOWED BY INSTALLING THEM INTO THE JK SHIFTER BOX. THEN SECURE IT ALL WITH THE PROVIDED LOCK NUT. FOR THE SHIFTER CABLES I'M GOING TO MOCK THEM IN PLACE OUTSIDE THE JK SO YOU CAN SEE HOW THEY BOLT INTO THE SHIFTER BOX. THIS FIRST CABLE IS FOR THE FRONT SHIFT RAIL FOR THE ATLAS AND SIMPLY BOLTS ONTO THE BOTTOM OF THE LEFT HANDLE. AGAIN I'M JUST MOCKING THINGS INTO PLACE FOR NOW SINCE THE UPPER HANDLES, ALONG WITH THE SHIFT CABLES, WILL ACTUALLY HAVE TO COME BACK OFF FOR INSTALLATION ONCE WE'RE IN THE JK. BEFORE WE ADD THE SECOND CABLE WE HAVE TO INSTALL THE CABLE BARREL INTO THE SHIFT BOX. IT'S SECURED WITH A RETAINER CLIP AND A LOCK SCREW. THE CABLE IS THEN THREADED INTO THE END OF THE BARREL AND TIGHTENED BY SWINGING IT AROUND LIKE A LASSO. I FELL LIKE I'M GONNA ROPE SOME CATTLE OR SOMETHING. BACK INSIDE THE JK WITH THE CENTER CONSOLE, STOCK TK SHIFTER, AND CABLE REMOVED, THE FIRST PIECE TO GO IN IS THE SHIFT BOX BASE. THEN BOTH CABLES ARE ROUTED THROUGH THE EXISTING SHIFT CABLE HOLE. (ELIZA)>> OKAY, HERE IT COMES. (JEREMY)>> ALL RIGHT, YOU GOOD? NOW THINGS GET A LITTLE CRAMPED. THE CABLES RUN ALONG THE TRANSMISSION BACK TO THE TRANSFER CASE SHIFT RAIL BRACKET. ATLAS SUGGEST INSTALLING THE CABLES BEFORE STABBING IN THE TRANSFER CASE IN PLACE BUT WE WANTED TO SHOW YOU HOW THE LINKAGE IS ROUTED. ONCE YOU HAVE BOTH CABLES CONNECTED TO THE TRANSFER CASE SHIFT IT INTO LOW RANGE. THEN THE CABLES CAN BE COMPLETELY EXTENDED IN THE OTHER DIRECTION, ALLOWING YOU TO SET THE JAMB NUTS ON THE SHIFT BOX. BACK UP TOP THE CABLES ARE SECURED WITH ANOTHER BRACKET. THEN THE LARGE PORTION OF THE CENTER CONSOLE GOES BACK IN. AND JUST A REMINDER, MAKE SURE YOU HOOK UP ANY ELECTRONICS YOU MAY HAVE DISCONNECTED WHEN REMOVING YOUR CENTER CONSOLE. FOLLOWED BY THE STOCK TK SHIFTER COVER, AND FINALLY THE REMAINING CENTER COVER. GOT TO GET THESE GUYS ON AND WE ARE DONE. (NARRATOR)>> UP NEXT WE'LL GET OUR STEERING ASSIST INSTALLED, AND LATER BABY GETS A NEW PAIR OF SHOES. (JEREMY)>> AND NOW WITH OUR TRANSFER CASE AND SHIFTER INSTALLED WE CAN FOCUS ON ONE MORE THING, AND THAT'S THE POWER ASSISTED STEERING. NOW WE WENT TO SUMMIT RACING DOT COM AND PICKED UP THIS KIT THAT DIRECTLY BOLTS INTO OUR JK. IT'S GOT EVERYTHING WE NEED TO PUT IT IN THERE. IT'S GOT THE RESERVOIR, GEAR BOX, PUMP, GOT BRACKETS AND THE CYLINDER. WE ALSO PICKED UP THEIR TRANSMISSION AND POWER STEERING COOLER. NOW THIS ALSO BOLTS DIRECTLY INTO THE JK. SO ALL WE HAVE TO DO IS START PUTTING THIS TOGETHER AND THEN GET IT ALL ON THE TRUCK. FIRST WE PUT THE PUMP IN THE BRACKET. THIS ENTIRE KIT IS TRULY A BOLT IN SYSTEM. THE SUPPLIED BRACKETS UTILIZE STOCK MOUNTING LOCATIONS BUT YOU WILL HAVE TO REUSE A SMALL AMOUNT OF STOCK HARDWARE. WE CAN ACTUALLY USE ALL OF THE STOCK HOSES, ESPECIALLY THE HIGH PRESSURE SIDE. THE LOW PRESSURE SIDE THE HIGH PRESSURE BOLTS RIGHT TO THE PUMP. THIS IS THE RETURN FITTING FOR THE NEW RESERVOIR. REMOVING THE STOCK GEAR BOX IS PRETTY SIMPLE BECAUSE GOOD OLE GRAVITY HELPS ASSIST IT WHEN IT FALLS OUT, BUT YOU MAY WANT TO HAVE A BUDDY HELP YOU HOLD THE NEW ONE IN PLACE BECAUSE GETTING THE BOLT STARTED IS A LITTLE TRICKY. DON'T WORRY ABOUT MARKING THE HIGH AND LOW PRESSURE SIDE HOSES BECAUSE THEY'RE TWO DIFFERENT SIZES AND THEY ONLY GO IN ONE PLACE. AGAIN THE KIT PROVIDES A NEW BRACKET SO YOU CAN BOLT THE NEW RESERVOIR RIGHT BACK INTO THE STOCK LOCATION. NOW THE REASON THESE FITTINGS ARE TWO DIFFERENT SIZES IS THE BIG ONE IS THE FEED LINE TO THE PUMP AND THE SMALL ONE IS THE RETURN LINE FROM THE GEAR BOX. THESE PUSH LOCK FITTINGS ARE AS SIMPLE AS THE NAME STATES. JUST PUSH THEM ON AND THEY STAY RIGHT IN PLACE. THIS HOSE IS THE RETURN HOSE FROM THE GEAR BOX, AND WE'LL GET CONNECTED TO THE RETURN HOSE, THE STOCK ONE FROM THE GEAR BOX, BUT WE'LL HAVE TO PUT EVERYTHING IN LINE SO WE CAN PUT OUR POWER STEERING COOLER IN THERE TOO. GOING UP! AND ONE PART THAT YOU'RE GONNA HAVE TO REUSE IS THE STOCK PITMAN ARM. AND DEPENDING ON THE AXLE YOU'RE RUNNING, YOU'RE GONNA HAVE TO COME UP WITH A MOUNTING POINT FOR THE CYLINDER. (JEREMY)>> JUST CLEARS. NOW ALL WE'VE GOT TO DO IS HOOK OUR HOSES FROM OUR CYLINDER TO THE GEAR BOX. AGAIN, MOUNTING THE HOSES ARE PRETTY SIMPLE BECAUSE THE GEAR BOX IS MARKED "DRIVERS" AND "PASSENGER" SIDE. ALL RIGHT, NOW WE'LL GO BACK UP TOP AND PUT THE TRANS AND POWER STEERING COOLER IN IT. THE BRACKET COMES IN THE KIT AND ONLY TAKES FIVE SELF TAPPING SCREWS TO HOLD IT IN PLACE. (JEREMY)>> ALL RIGHT, NOW ALL WE HAVE TO DO IS HOOK THE HOSES UP, AND WE'RE GONNA USE THIS SIDE FOR THE POWER STEERING COOLER AND THIS SIDE FOR THE TRANS COOLER. (NARRATOR)>> WHEN WE COME BACK OUR DRIVESHAFTS HAVE ARRIVED JUST IN TIME, STAY TUNED! (ELIZA)>> WOO, JUST IN TIME! ALL RIGHT, WE CALLED UP OUR BUDDIES AT TOM WOODS, GAVE THEM THE SPECS TO OUR JK, AND 43 HOURS AND 11 MINUTES THEY HAVE SHOWED UP AND JUST IN TIME FOR INSTALL. 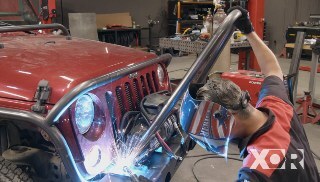 (JEREMY)>> TOM WOODS USES A DOUBLE CARDAN DESIGN ON HIS DRIVESHAFTS, AND THAT'S A HUGE IMPROVEMENT OVER THE STOCK C/V STYLE DRIVESHAFT IN OUR JEEP. THE DOUBLE CARDAN DESIGN IS WHAT JEEPS AND TRUCKS HAVE USED FOR DECADES. THE C/V IS MORE LIKE WHAT YOU WOULD FIND ON THE C/V AXLE OF A TWO WHEEL DRIVE CAR, AND THAT SPREADS THE WORKLOAD OUT OVER MULTIPLE JOINTS, AND THAT REDUCES THE OVERALL STRESS ON THE DRIVELINE. AND ELIZA WASN'T KIDDING WHEN SHE SAID THEY DELIVERED THESE FAST. TOM WOODS SAYS YOU CALL THEM WITH MEASUREMENTS AND THEY'LL SHIP THE CUSTOM LENGTH DRIVESHAFTS THE FOLLOWING DAY. TOM WOODS ALSO SUPPLIED US WITH THE TRANSFER CASE YOKES THAT ALLOWS US TO RUN THEIR C/V STYLE SHAFTS. 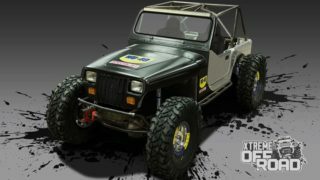 (ELIZA)>> WITH ALL OF THEY MODIFICATIONS MADE TO THE JEEP WE NEEDED TO COME UP WITH A WAY TO SECURE OUR LAP BELTS. NOW WHAT WE DID IS WE USED THE TWO STRONGEST POINTS IN THE INTERIOR OF THE JEEP, WHICH WOULD BE OUR ROLL CAGE AS WELL AS TO WHERE THE SEAT BELT MOUNTS ONTO. AND SINCE WE'RE USING THE OEM SEAT, IT BOLTS RIGHT BACK IN TO WHERE IT WOULD HAVE BEEN ORIGINALLY. (JEREMY)>> NOW THERE'S REALLY NO NEED TO UPGRADE THE SEATS IN OUR JK. JEEP'S DESIGN IS NOT ONLY COMFORTABLE, THESE SEATS ARE SAFE, AND WITH THEIR TOUGH FABRIC THEY'RE EASY TO CLEAN AFTER A LONG WEEKEND OF WHEELING. SO NOT ONLY HAVE YOU SAVED SOME CASH ON YOUR BUILD, BEST OF ALL THEY BOLT RIGHT BACK IN PLACE. UTILIZING THE ADJUSTABLE HEADREST, WE'RE PASSING OUR FIVE POINT HARNESS' TOP STRAP THROUGH IT TO SECURE IT TO THE ROLL CAGE. AND LIKE A LOT OF THE SUSPENSION UNDERNEATH, GRADE EIGHT HARDWARE SECURES IT TO THE MOUNTING POINT. THERE IT IS! READY TO TRAIL! (JEREMY)>> ONE LAST UPGRADE UNDER THE HOOD IS AN OPTIMA BATTERY, AND THAT STARTS WITH A NEW HOME IN THIS BATTERY TRAY FROM OUR BUDDIES AT ROUGH STUFF. IT'S DESIGNED SPECIFICALLY TO FIT THE SHAPE OF THE OPTIMA. SOME OF THE REASONS WHY RUN YELLOW TOP OPTIMA BATTERIES IN OUR TRAIL RIGS IS THE FACT THAT THEY ARE DESIGNED TO BE 15 TIMES MORE VIBRATION RESISTANT THAN THE STANDARD BATTERY, AND YOU CAN MOUNT THEM IN ALMOST ANY POSITION BECAUSE THEY ARE VIRTUALLY SPILL PROOF. THEY'VE ALSO GOT DEEP CYCLE AND CRANKING POWER FOR EXTENDED ENGINE STARTS. THEY RECHARGE AWFULLY QUICKLY AND HAVE A LONG LIFE. YOU CAN GET MORE THAT 300 DISCHARGE AND RECHARGE CYCLES OUT OF A SINGLE BATTERY. (NARRATOR)>> AFTER THE BREAK IT'S ONE LAST TOUCH BEFORE GETTING OUT OF THE SHOP, STICK AROUND! (JEREMY)>> NOW THERE'S ONE UPGRADE WE HAVE TO DO AFTER UPGRADING TO OUR BIGGER DANA AXLES AND THEIR BIGGER BRAKES, AND THAT'S OUR BRAKE MASTER CYLINDER AND THE BOOSTER. WITH ALL THE OPEN SPACE UNDERNEATH THE HOOD OF OUR JK, THE STOCK MASTER AND BOOSTER COME OUT EASILY ENOUGH. JUST MAKE SURE YOU HANG ON TO THE STOCK FASTENERS CAUSE YOU'RE GONNA NEED THEM IN A COUPLE OF MINUTES. NOW I'VE JUST GOT TO SEPARATE ALL THIS. SNAKE AND FISH ALL THIS UP AND OUT OF HERE. CONNECTED TO THE BRAKE PEDAL, OH, THERE IT GOES. THERE YOU GO! NOW SWAPPING THESE PARTS OUT IS ACTUALLY PRETTY SIMPLE. YOU DON'T HAVE TO GO OUT AND FIND EACH PIECE INDIVIDUALLY. 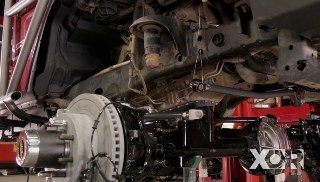 JUST GO GET MOPAR'S JEEP WRANGLER BRAKE UPGRADE, WHICH COMES WITH A BIGGER BOOSTER AND A BIGGER MASTER. EVEN THOUGH THE BOOSTER IS PHYSICALLY BIGGER THAN THE STOCK UNIT THERE'S STILL PLENTY OF ROOM UNDER THE HOOD TO GET THE JOB DONE. THE BOOSTER BOLTS TO THE BRACKET FIRST. THEN THE BRACKET BOLTS TO THE FIREWALL, FOLLOWED BY ATTACHING YOUR BOOSTER'S PUSH ROD TO THE BRAKE PEDAL. WITH THE BOOSTER IN PLACE WE CAN NOW ASSEMBLE THE NEW MASTER CYLINDER, AND THAT STARTS WITH LUBING THE RUBBER SEALS FOR THE RESERVOIR WITH A LITTLE CLEAN BRAKE FLUID. AND THAT'S FOLLOWED BY SIMPLY PUSHING THE RESERVOIR IN PLACE UNTIL YOU HEAR IT SNAP IN. AND NOW'S A GREAT TIME TO DRAIN THE OLD BRAKE FLUID COMPLETELY OUT OF YOUR VEHICLE BECAUSE YOU DON'T WANT TO MIX THE OLD WITH THE NEW. NOW ONCE IT'S INSTALLED WE'RE NOT GONNA HOOK UP THE BRAKE LINES THEMSELVES BECAUSE WE STILL HAVE TO BLEED THE AIR OUT OF THE MASTER CYLINDER. AND LAST BUT NOT LEAST, DON'T FORGET TO HOOK UP THE VACUUM LINE THAT GOES TO YOUR BOOSTER CAUSE OTHERWISE YOU'RE NOT GONNA HAVE ANY ASSISTED BRAKES AT ALL. AND THERE YOU GO. ALL WE HAVE TO DO IS HOOK UP OUR BRAKE LINES AND BLEED THE BRAKES OUT AND WE'LL HAVE UPGRADED BRAKES TO GO ALONG WITH OUR UPGRADED AXLE. NOW WITH OUR JEEP ALMOST READY TO HIT THE TRAIL WE'VE GOT TO THROW A SET OF SKINS AT IT. SO MAXXIS SENT US A SET OF THEIR RAZOR MT'S. NOW THESE HAVE A REALLY DEEP TREAD PATTERN AND A REALLY HEAVY SIDEWALL CAUSE WE'RE DEFINITELY GONNA WANT TO AIR DOWN WHEN WE'RE OUT ON THE TRAILS. AND TO WRAP IT ALL UP WE WENT TO SUMMIT RACING DOT COM AND GOT A SET OF BEAD LOCKS. (JEREMY)>> WE'RE GONNA TORQUE THESE DOWN TO 16 TO 18 FOOT POUNDS, BUT WE'VE GOT TO DO THREE PASSES SO. THEY'RE GONNA LOOSEN UP A LITTLE BIT AS WE MAKE OUR WAY AROUND. SO THAT'S HOW WE'VE GOT TO DO THREE PASSES. (ELIZA)>> WELL THERE YOU HAVE IT. "PROJECT CREEP IT REAL" IS ON ALL FOURS. (JEREMY)>> BUT WE'VE GOT ONE MORE CUSTOM TOUCH THAT OUR BUDDIES OVER AT WARD JET CUT OUT FOR US. (ELIZA)>> WELL THERE YOU HAVE IT. "PROJECT CREEP IT REAL" IS DONE. 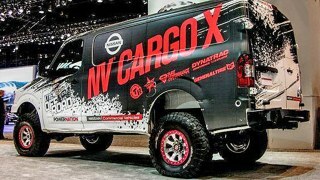 SO NEXT TIME YOU SEE THIS RIG WE'RE GONNA BE TEARING IT UP ON THE TRAILS. 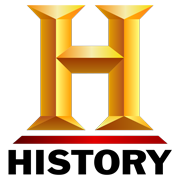 FOR MORE INFORMATION ABOUT ANYTHING YOU'VE SEEN ON TODAY'S SHOW VISIT US AT POWERNATION TV DOT COM. GONNA BE FUN!